Sorghum is a multipurpose crop that can be grown on low fertility soils with less water requirement. Sweet sorghum with wide adaptability has frequently been suggested as the potential crop to provide a broad range of clean fuels. The production of renewable liquid or gaseous fuel from the molasses or cane juice is a well-understood process. Syrup or extract from the sweet sorghum can be converted to ethanol and bio-hydrogen. After extraction of sugars containing juice from sweet sorghum stalk, the bagasse is available in large quantities that can be used as fuel in boilers in the sugar mills for the cogeneration process. Sweet sorghum is genuinely fit for growing in dryland conditions, as it only requires one-seventh of the irrigation water used by sugarcane. Furthermore, cultivating sweet sorghum in dryland conditions does not compromise the food or feed security as farmers could continue to use grain for food or feed and stalk juice for renewable biofuels production. The genetic advancement in sweet sorghum research and development of improved varieties would contribute significantly to the quantitative increase in juice yield for production of renewable fuel. The production and use of renewable liquid biofuels are one of the best alternatives to fossil fuel to reduce toxic tailpipe emissions. The use of sweet sorghum as a feed stalk for renewable fuel production is being seen as instrumental in a paradigm shift toward low-carbon fuels, which would bring sustainability in the transportation sector. 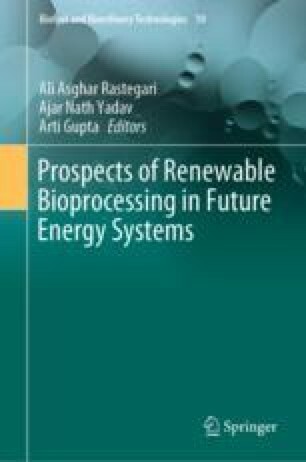 Authors are grateful to the Center for Environmental Sciences and Climate Resilient Agriculture (CESCRA), ICAR-Indian Agricultural Research Institute (IARI), and Indian Council of Agricultural Research (ICAR), New Delhi for providing the facilities and monetary support to complete the research and drafting of the book chapters. The authors declare no conflicts of interest.